This blog by Sam Boyd, Switchback’s Head of Policy & Communications, was originally published on russellwebster.com. Two years on from his second prison release, Ahmed now manages a busy street food market in central London and looks forward to starting work each day at 7am. Yet Ahmed is an exception: a year after release, prisoners are three times more likely to be back inside than in a job. It is tempting to see Ahmed’s job as the solution. If more prison-leavers could be given the skills and opportunities to enter employment, we may finally reduce the 49 per cent reconviction rate and the £15bn annual cost of reoffending. This idea underpins the government’s Education and Employment Strategy and many other important initiatives to get prisoners into work. There is a good case for focussing on employment. The benefits of work for individuals and society are clear, and being in a job can achieve a 6 to 9 percentage point reduction in reoffending, according to the Ministry of Justice. The government’s plans to engage more employers with prisons and devolve education funds to governors represent a good start for tackling the problems of low skills and limited job options for prison-leavers. Yet at Switchback we find that employment alone is not enough. Among the young men we support, four in 10 face homelessness upon release, over half have a drug or alcohol issue and over two thirds have anger or aggression issues. Many of these challenges are linked to poverty and trauma and are entrenched well before prison. Most prisoners want to work, but holding down a job when so much else is unstable – from family relationships to mental health and housing – is nearly impossible. Switchback is an award-winning charity supporting 18-30 year-old men to live life differently after prison. 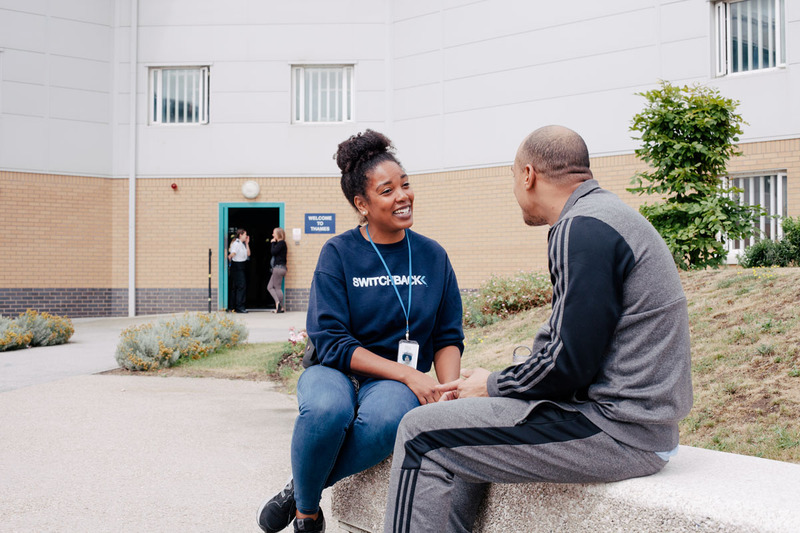 Switchback provides intensive one-to-one support either side of the prison gate alongside work-based training to enable prison-leavers to make real, lasting change. For more information visit switchback.org.uk. Switchback’s new report More Human, More Effective: insights for a better criminal justice system can be read here. Switchback are inviting others to work together on these aims: get in touch via sam@switchback.org.uk or 020 7650 8989.